Tim Evans: What was your beginning in the graphics industry? Jeff Gregorio: What started as an internship back in college, ended up being the profession that lead me to where I am today. As an intern I started cutting, weeding and taping for a small local sign and lettering shop. Being fluent in Photoshop and Illustrator meant it was no problem for me to learn FlexiSign quickly. Once mastering the program and vinyl cutter I started producing graphics for local car clubs and built our clientele in the import car industry. I steadily built a name for myself as I gained more confidence creating full vinyl graphic pieces with multiple layers on local vehicles. Tim: What was the push that got you moving into your own shop? Jeff: Just after 2007 the import graphic business had died down and the local shop I worked for was closing. I made the decision that I was going to start my own business and came up with the name Designflow Graphics. Recognizing where the market was going I decided to focus on vehicle lettering and picked up a used 24” Roland PNC 960 Camm1 that I still own to this day. At the time I was creating all my graphics on my kitchen table and installing them in my parking lot or on-site. Building my commercial clientele via word of mouth, I got to the point that I was in need of a location which resulted in an increased sense of pride and accomplishment having my own shop. Tim: So your entry into the industry was primary cut vinyl graphics. How did you transition into the wrap side of the scene? Jeff: After moving into my shop in 2009, digital printing was quickly becoming more popular. I purchased my first printer (54” Roland SP540V) and laminator (55” Daige Laminator) on Craigslist from a shop that was closing their doors. I was never taught how to setup files and add cut lines to produce these kinds of graphics. Struggling through that huge learning curve forced me to understand how the machine works and I was able to dial in all my jobs to produce a better product. Coming from a vinyl background with multiple layers to now designing everything on the computer made me more interesting in the wrap industry. I started by wrapping my own vehicle and re-branding my business to Designflow Wraps. Learning about all the wrap materials and how to properly install them gave me a real appreciation for this craft and take pride in great quality work. In addition to all of this I am also currently freelancing in Vehicle Wrap Designing as well as Consulting under Profile Design Studio. Tim: From a wrap shop to a wrap based podcast… what was the dream and goal of starting All Wrapped Up? Jeff: At this point in my career I wanted to be able to share my experiences and help others. I’ve met some great people in this industry and am really humbled to be able to give a little back to the ones that may be starting off. 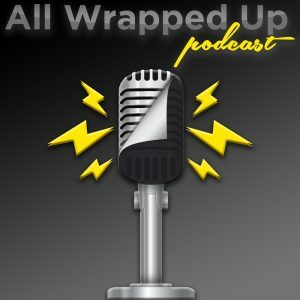 I wanted to start the All Wrapped Up Podcast because I have a passion for the wrap industry. Videos are a wonderful medium to learn and talk about the industry but how much time do you actually have to sit down and watch them? The podcast platform works well for the working wrapper because you can be traveling, doing office work or actively wrapping and still not miss an episode. My focus was building the podcast the right way from the start, creating a website, using good equipment and making it a high priority to be accessible on all devices. What I hope to accomplish for the industry is to be able to produce great content for the current and next generation. I know the struggle first hand on what it takes to have a successful business. The endless hours of trial and error, designers block, and having those hard installs, makes the listeners relate to the podcast. There’s a lot of different ways to do something in this industry, so let’s talk about….